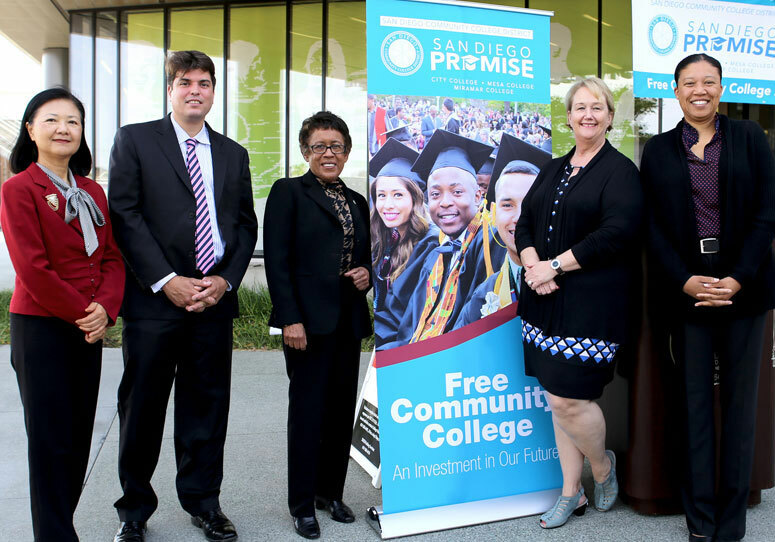 San Diego Mesa College celebrated the completion of the newly renovated Fine Arts Building, funded by Propositions S and N.
San Diego Continuing Education welcomed keynote speaker Nate Howard, CEO of Movement BE. 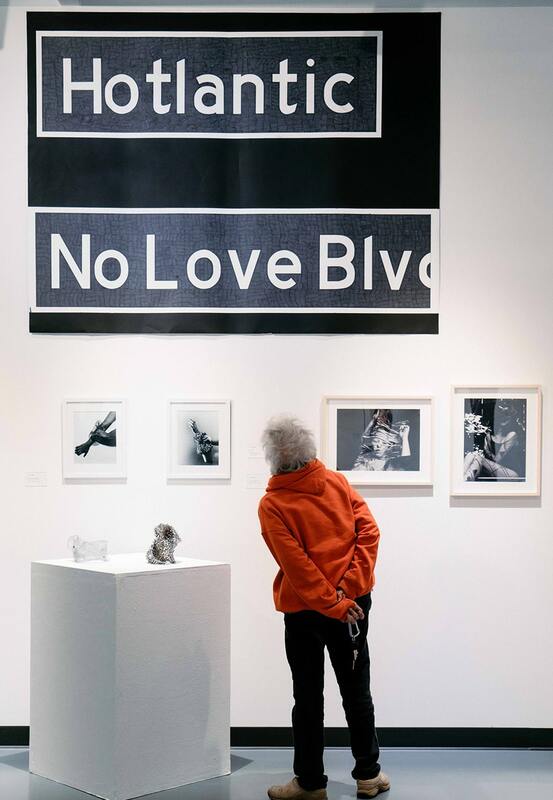 Mesa College celebrates a new gallery and alumni artists. 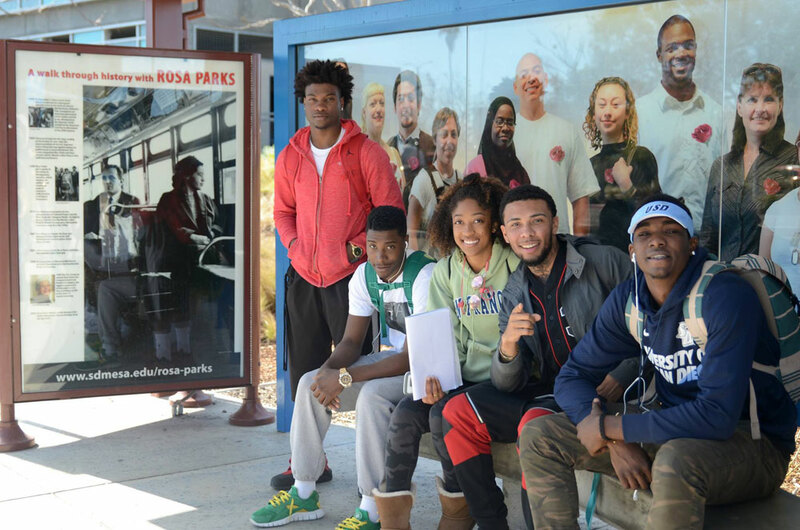 Four friends enjoy their first day of the spring semester at City College. 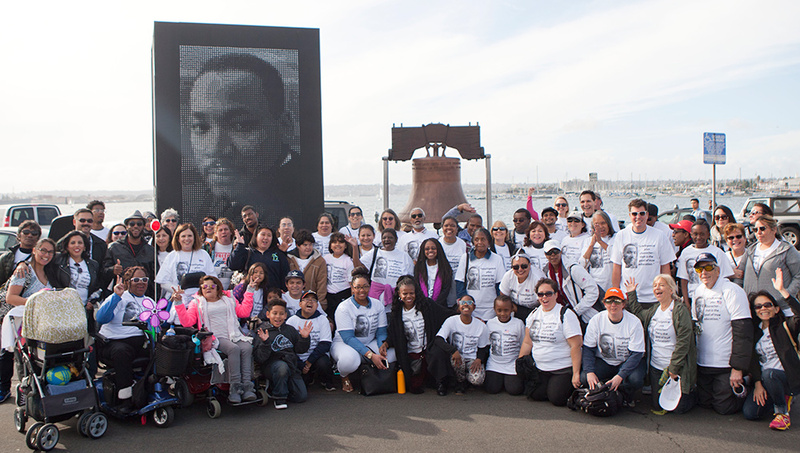 San Diego Community College District faculty, staff and students walked in the 39th annual Martin Luther King, Jr. Parade. 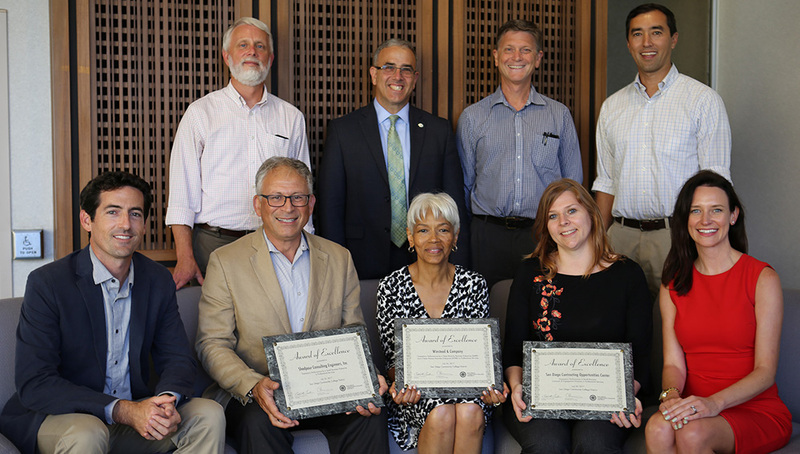 Reception celebrated our new and returning board members, Maria Nieto Senour, Craig Milgrim, and Sean Elo. 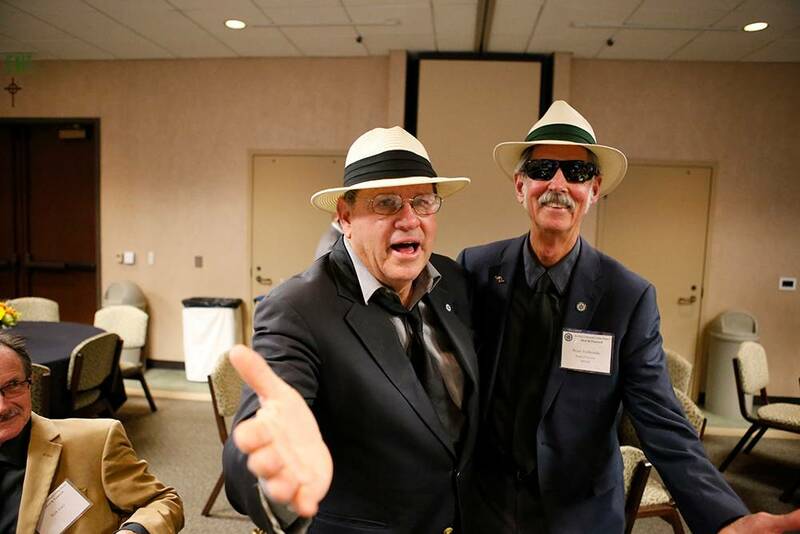 The event also was a fond farewell to retiring Trustees Rich Grosch and Peter Zschiesche. 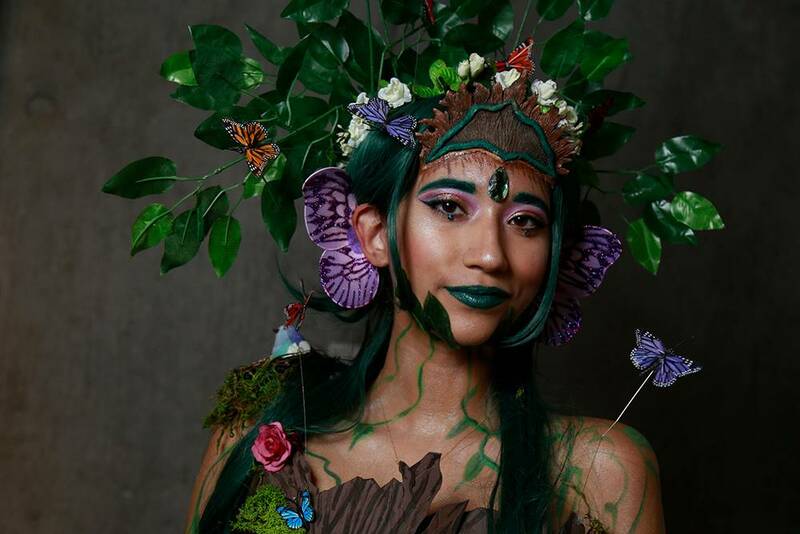 The Fantasy Fusion event at San Diego City College, organized by the Special Effects Makeup Class, showcases student's creativity and makeup skills as they bring their imagination to life. 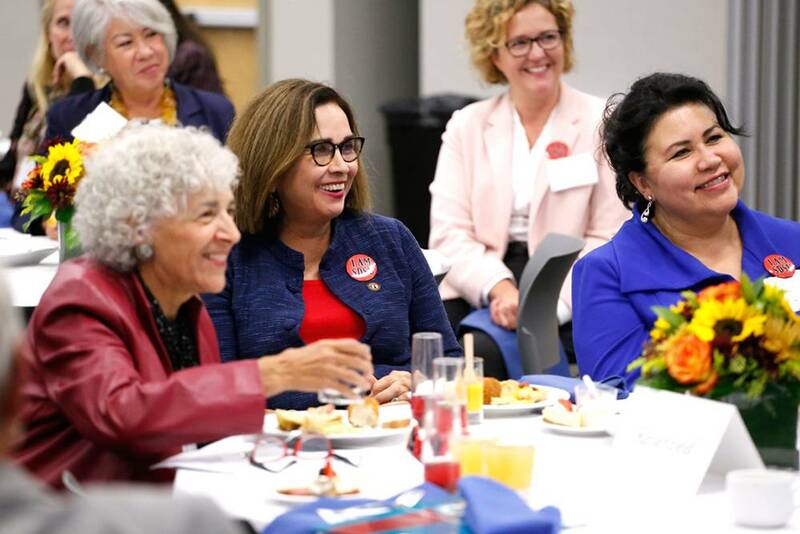 The San Diego Community College District and the San Diego Unified School District co-hosted a community event to welcome new San Diego State University President Adela de la Torre. 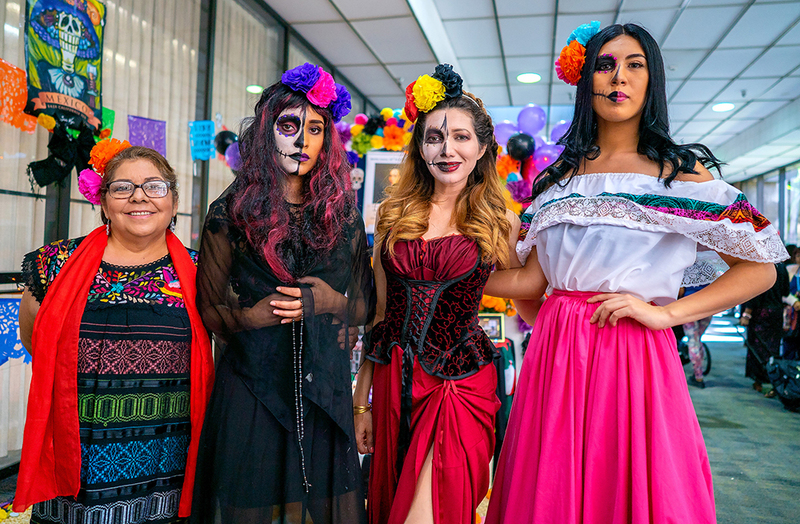 San Diego Mesa College treated students, faculty and staff to food and music at its annual Thanksgiving Dinner on Thursday, November 15. 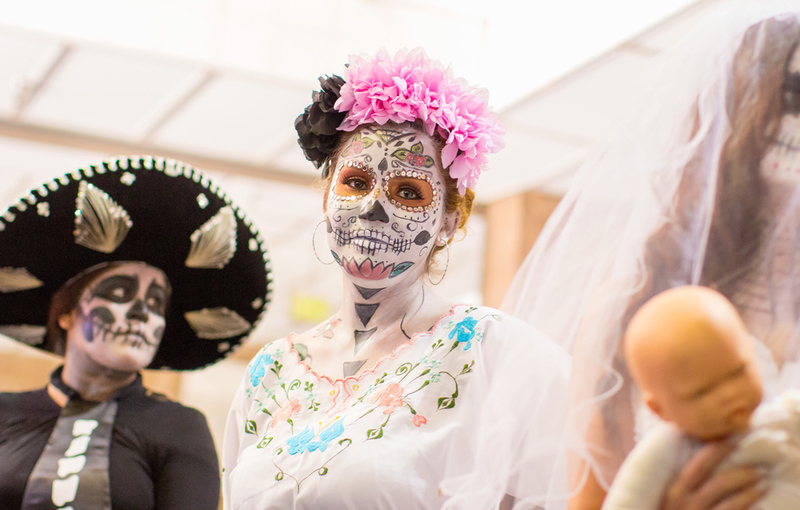 Students, faculty and staff at San Diego Continuing Education held events for Dia de los Muertos on Thursday, Nov. 1. 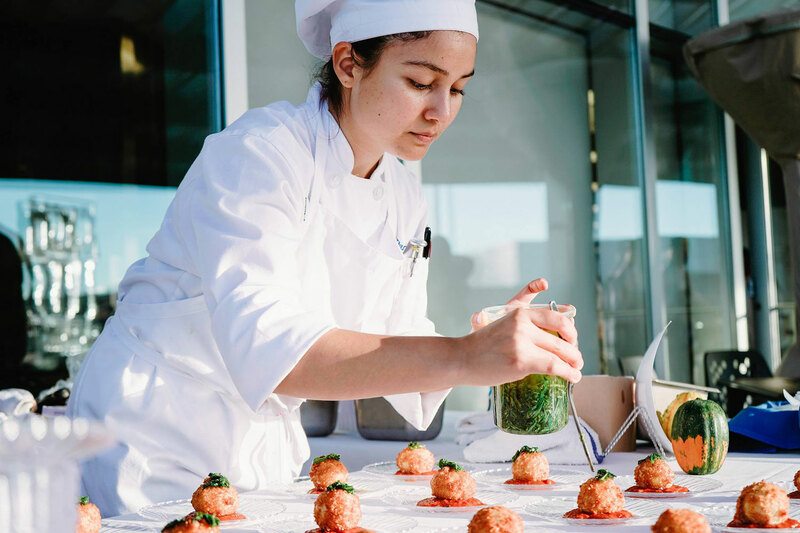 San Diego Mesa College hosted the popular fundraiser benefiting the Culinary Arts Management Program. 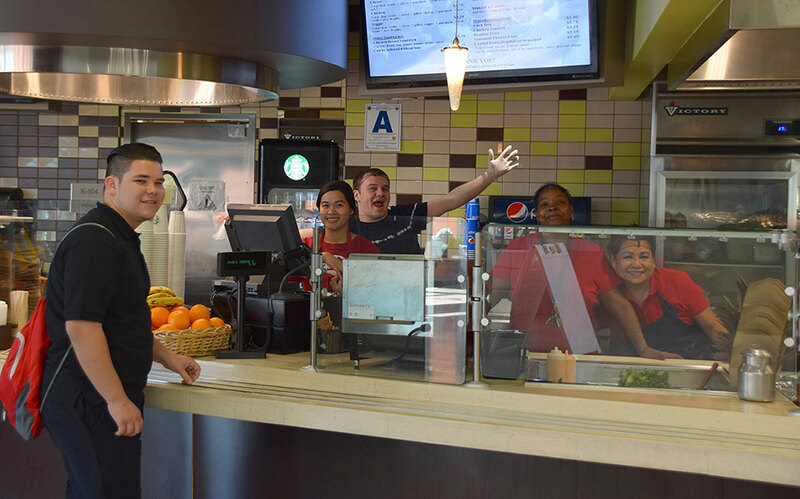 San Diego City, Mesa, and Miramar colleges welcomed back students on Monday, August 20. 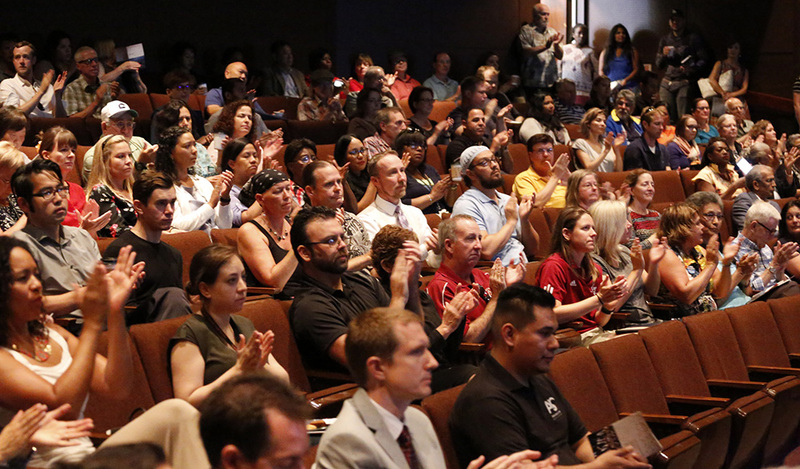 Convocation for San Diego City, Mesa, and Miramar colleges was held Thursday, August 16. 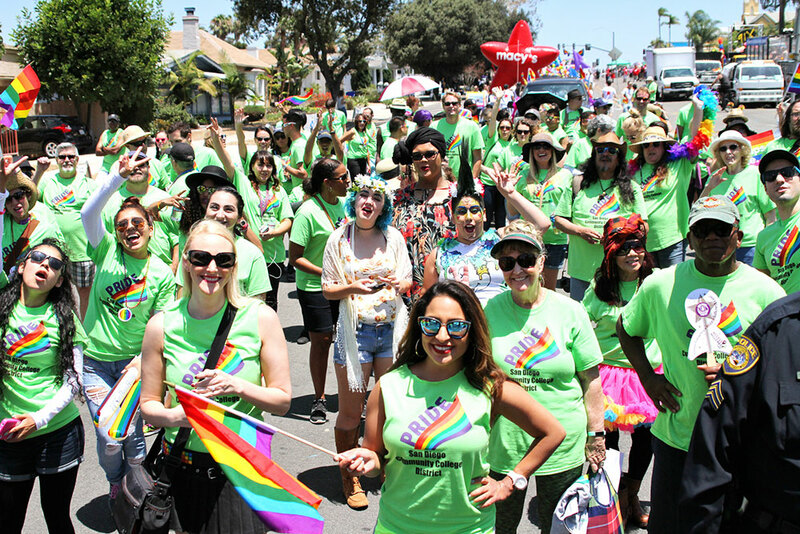 San Diego Community College District faculty, staff and students marched together in the annual San Diego Pride Parade on Saturday, July 14, 2018. 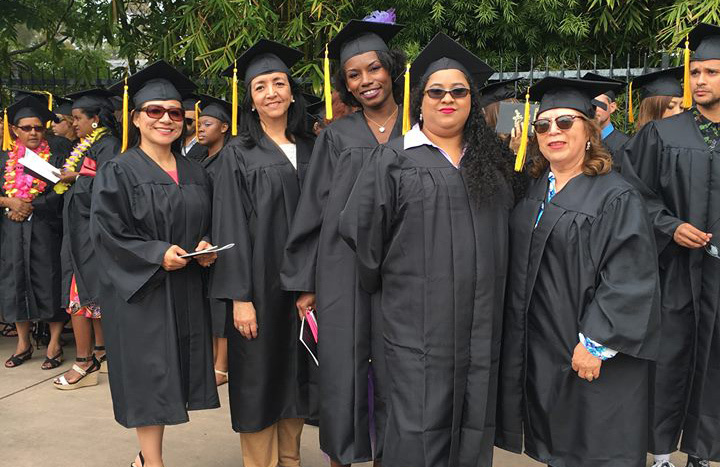 San Diego Continuing Education held its commencement Friday, June 1, 2018 at the Organ Pavilion in Balboa Park. 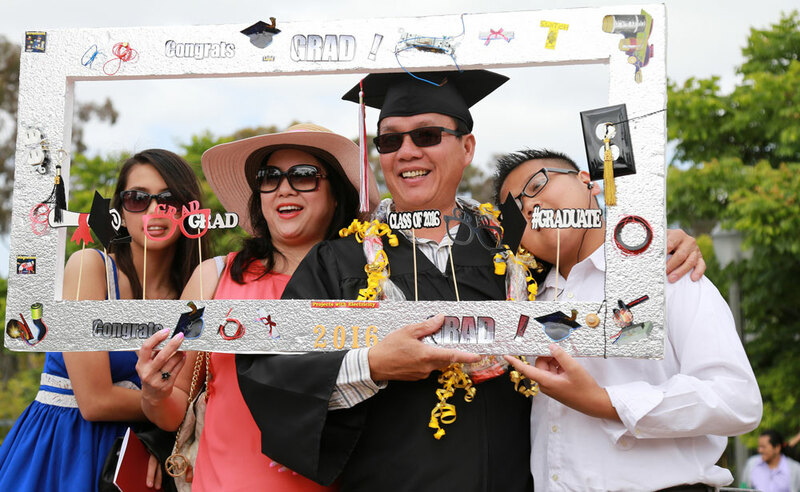 San Diego City College held its commencement Friday, May 25, 2018 at the Organ Pavilion in Balboa Park. 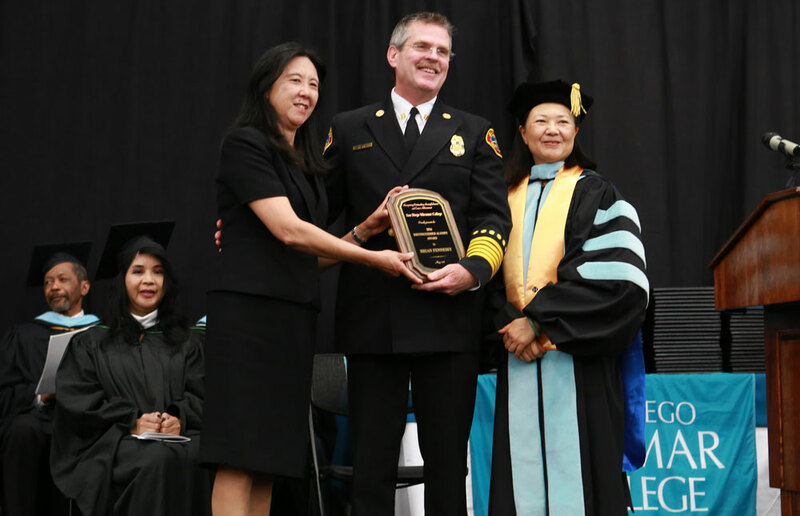 San Diego Mesa College held its commencement at the Jenny Craig Pavilion at the University of San Diego on Saturday, May 19. 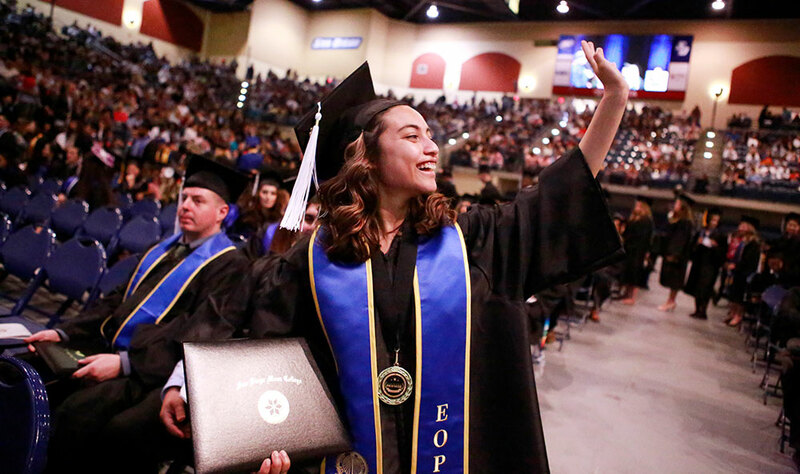 San Diego Miramar College held its commencement on Friday, May 18, 2018 at Hourglass Field House. 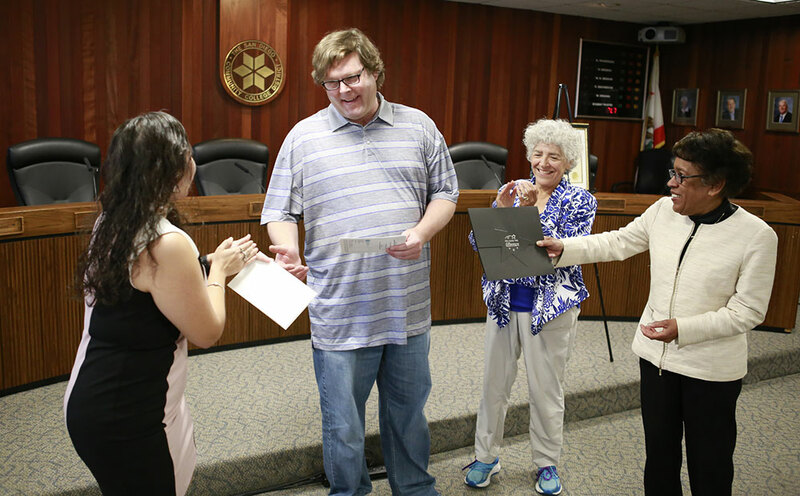 District employees were recognized for their years of service and District Network Specialist John Kalchik was named the 2018 Classified Professional of the Year. 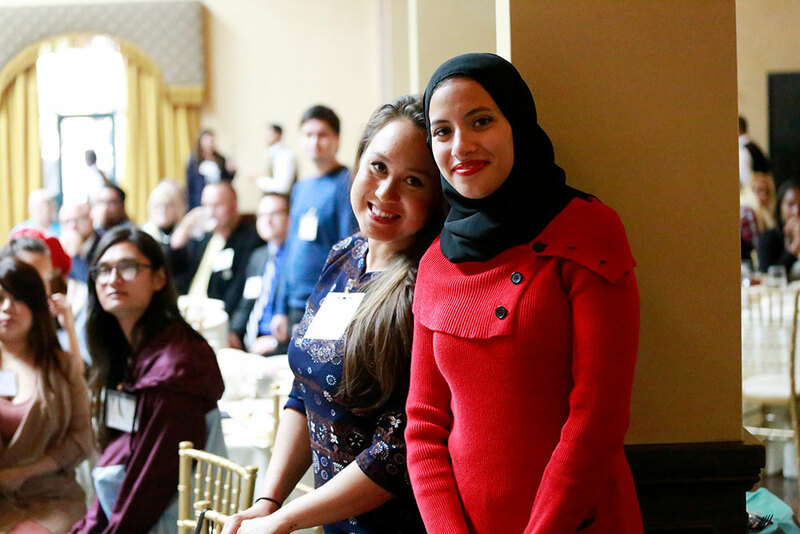 All of the honors students in the SDCCD were celebrated at our annual reception at The Prado Restaurant in Balboa Park. Congratulations to all of these extraordinary students on their success. 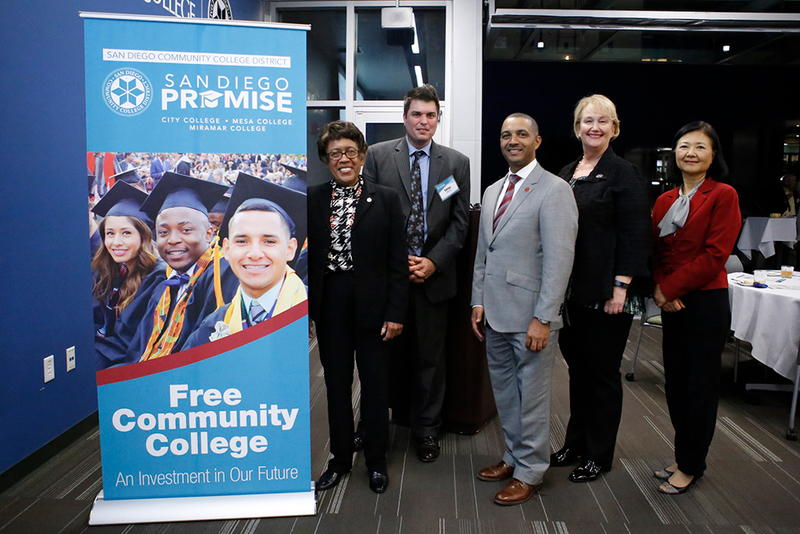 Two years ago the SDCCD launched the San Diego Promise pilot program. 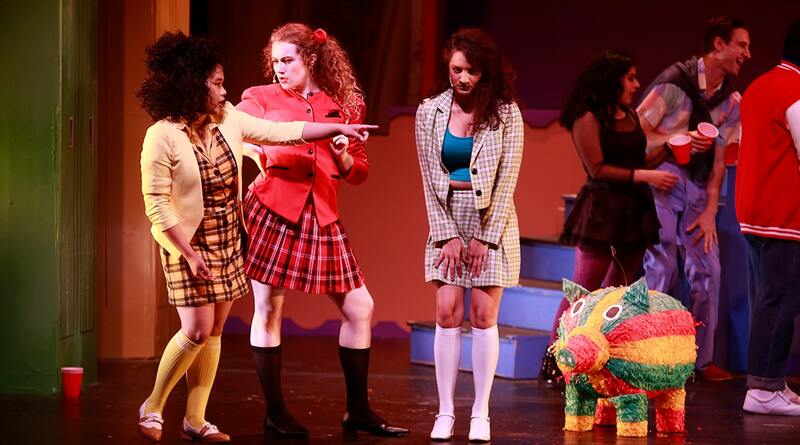 Now many of those students prepare to move on to new endeavors. 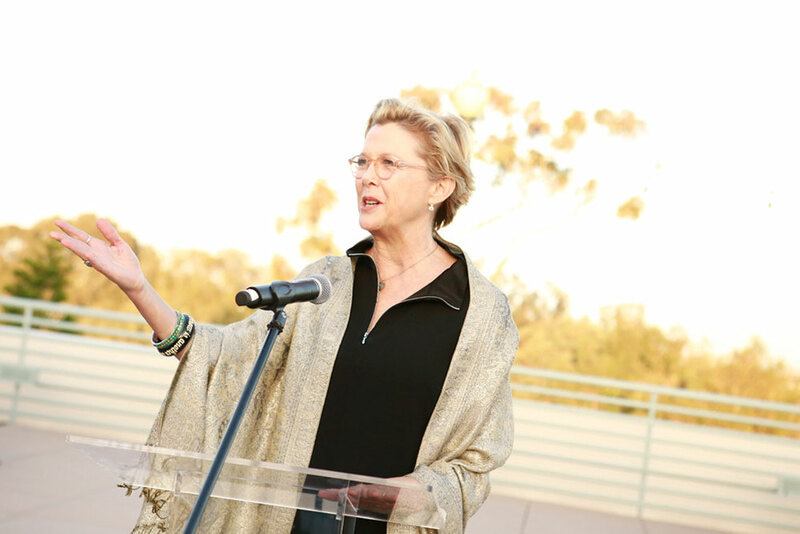 On Monday, we celebrated their success and all that they've accomplished. 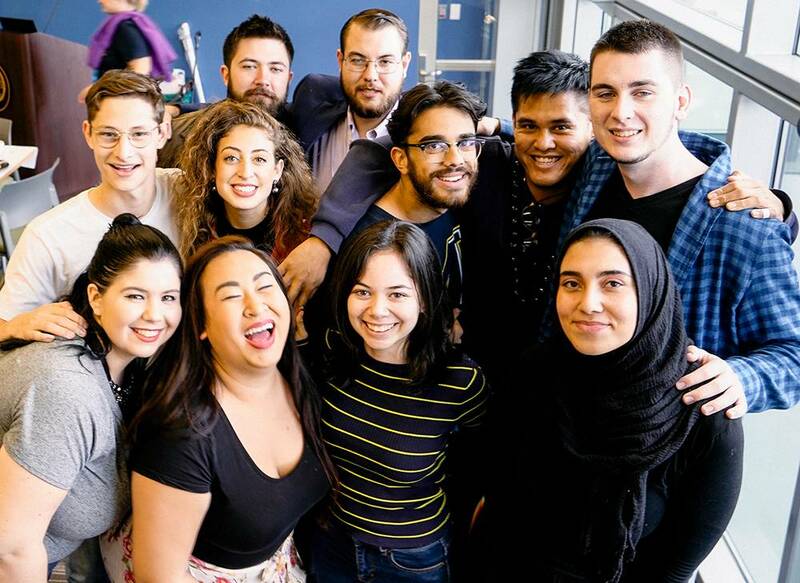 Each year, the League for Innovation in Community College invites its board member colleges to participate in their annual national Student Art Award and Student Literary Award competitions. 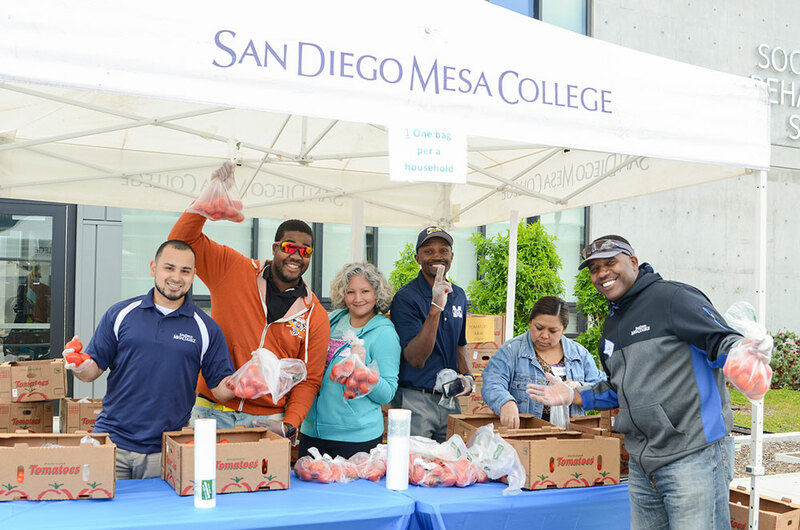 San Diego Mesa College and Feeding San Diego have teamed up to Stand up to Hunger and fight food insecurity. 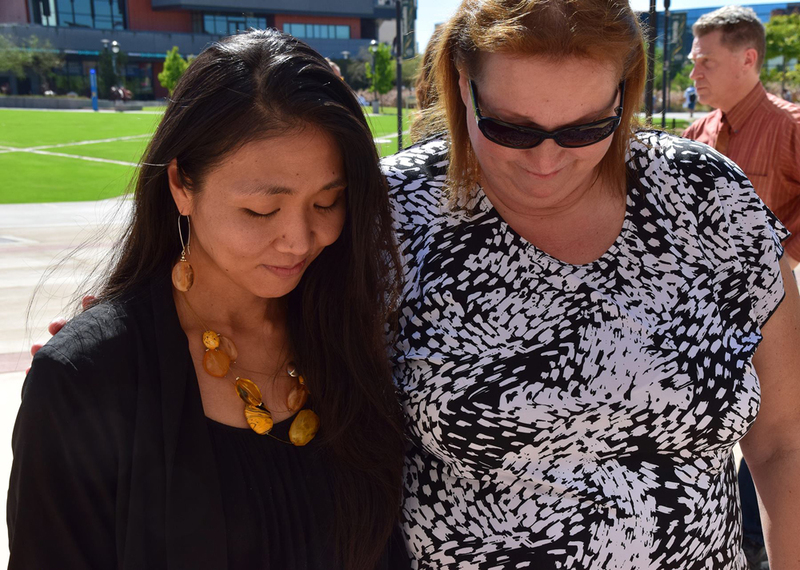 Faculty, staff and students were offered free food and produce at the farmers market. 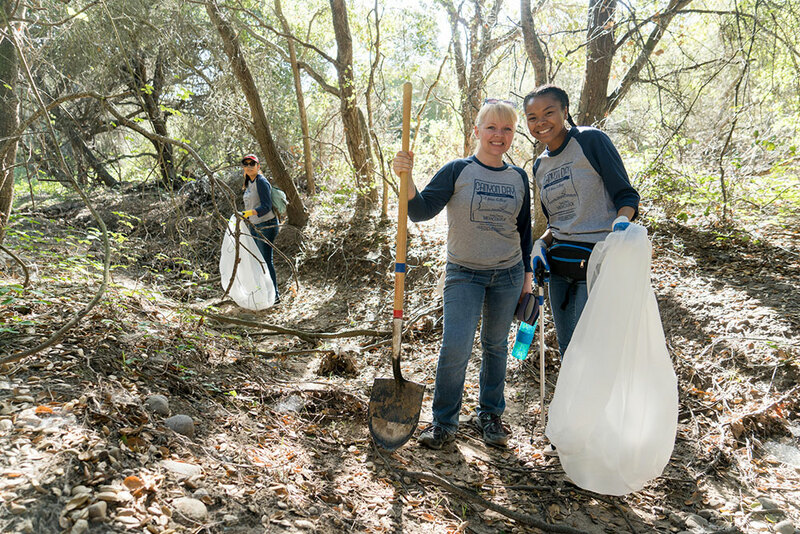 Canyon Day is an annual canyon clean-up hosted by Mesa College in conjunction with the City of San Diego and Park Rangers from the Tecolote Canyon Natural Park and Nature Center. How do you find truth in an era dominated by fabricated posts on social media and photoshopped pictures that go viral? ThatÃ¢? 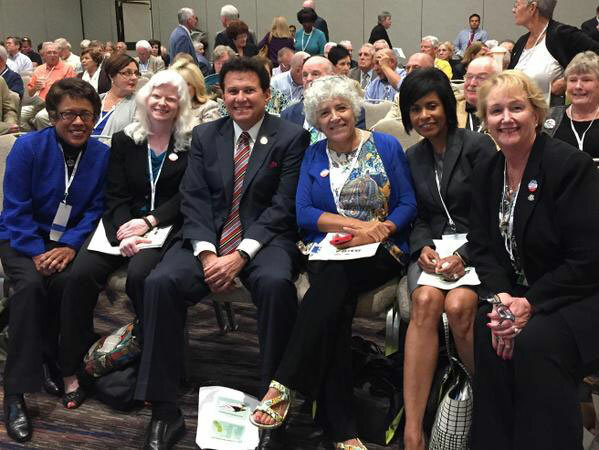 ?s the topic of annual conference on Restoring Civility to Civic Dialogue. 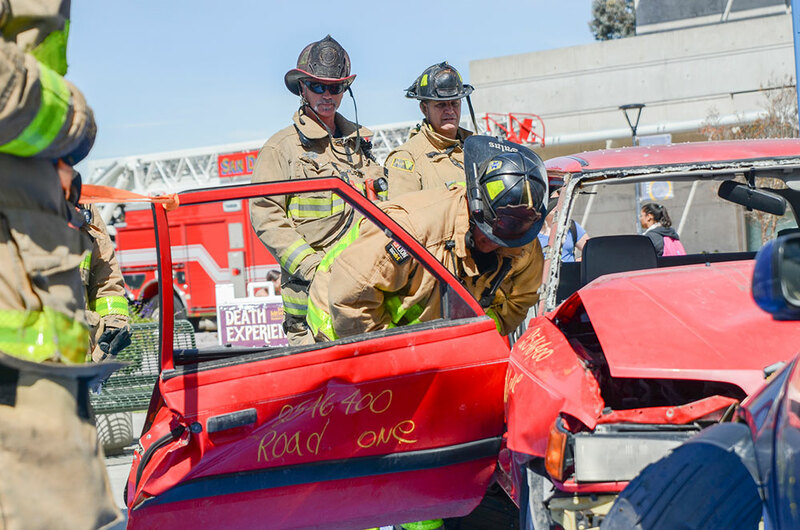 San Diego Mesa College hosts the event every year to show students the dangers of drinking and driving. Students all around the United States walked out of class to push for a change in gun laws. Some of our students and faculty joined the national protest. 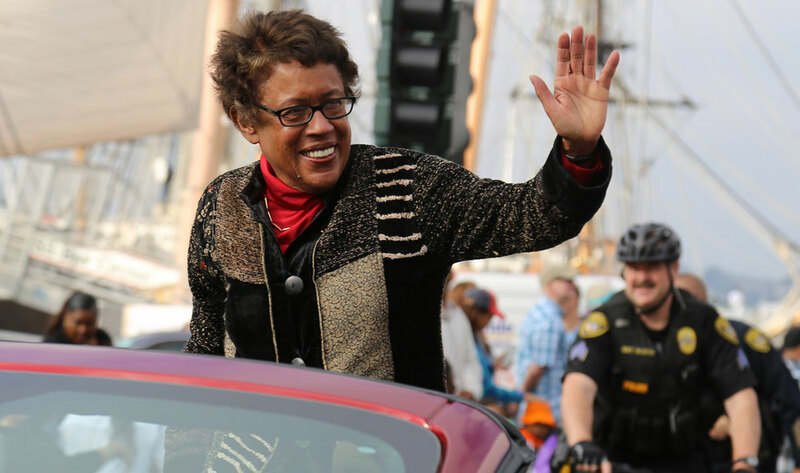 San Diego Continuing Education Celebrates more than 100 years of African-American activism for Black History Month. 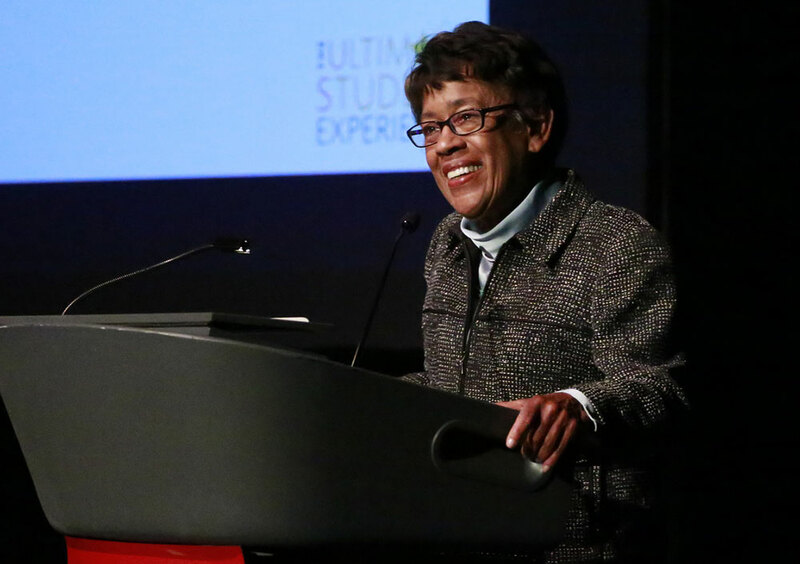 Faculty, staff and students return to classes for the Spring 2018 semester. 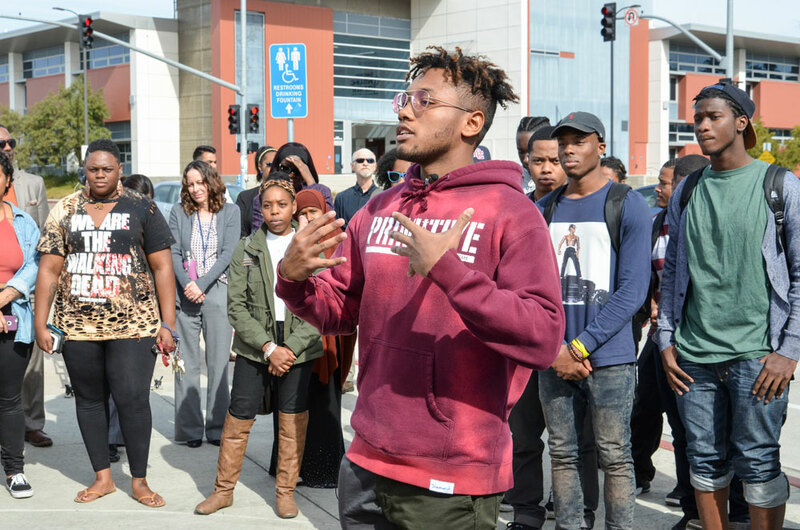 The San Diego Community College District walked in the Martin Luther King, Jr. 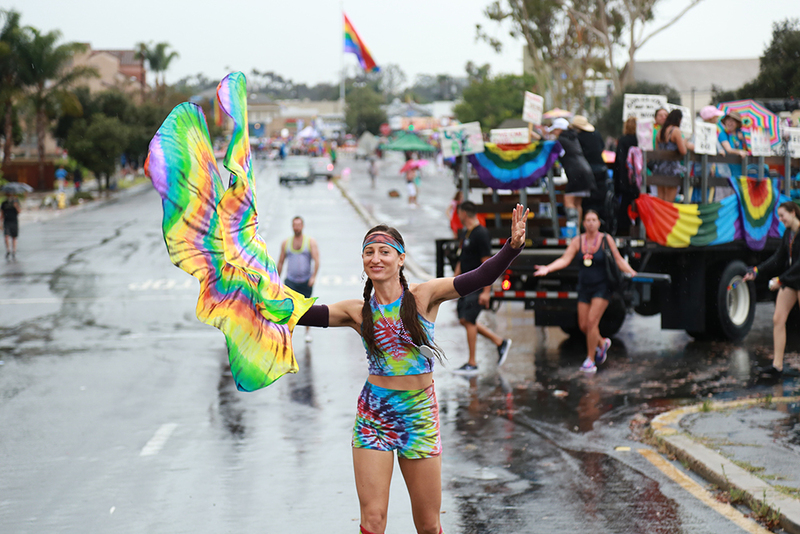 Parade in downtown on Sunday, January 14, 2018. 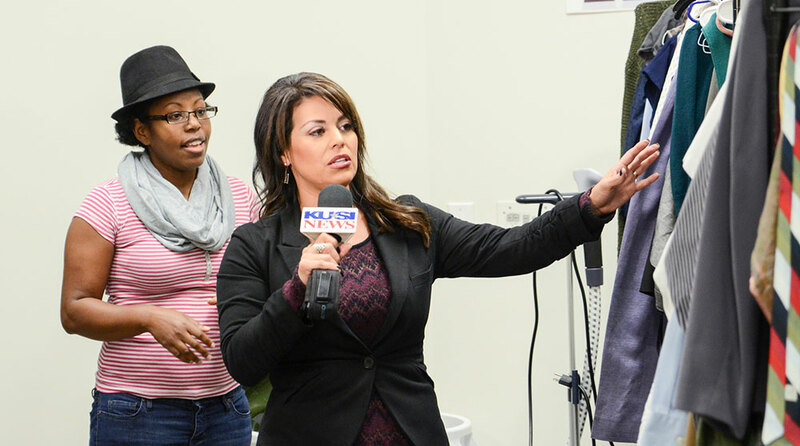 On Giving Tuesday, November 28, faculty, staff and students turned out in support of The Stand, a food pantry and clothing closet designed to assist students. 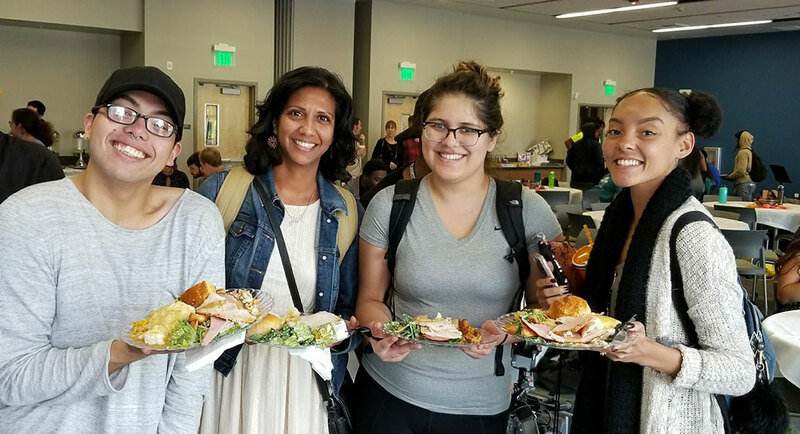 San Diego Mesa College treats students, faculty and staff to food and music at its annual Thanksgiving Dinner at the campus. 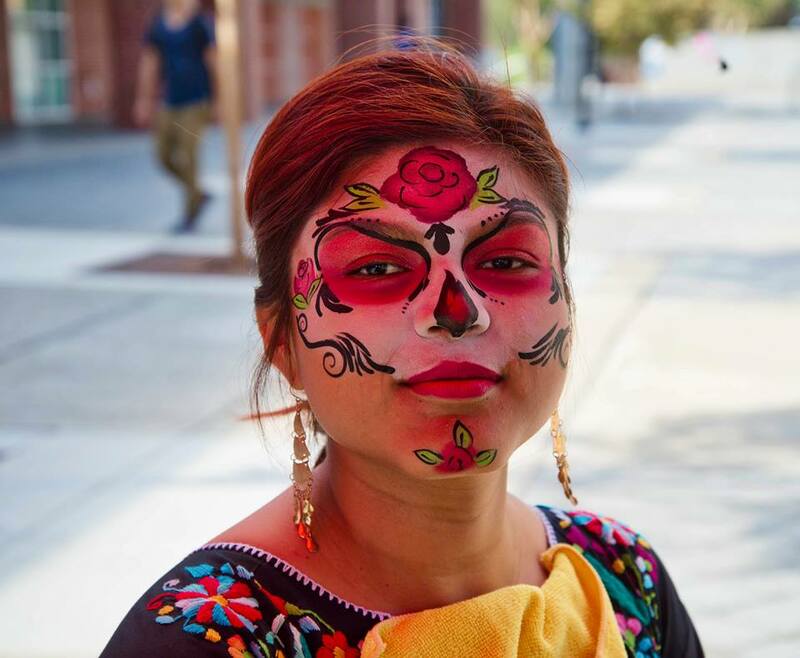 Students at San Diego City College honored loved ones with decorated alters for Dia de los Muertos on Nov. 1. 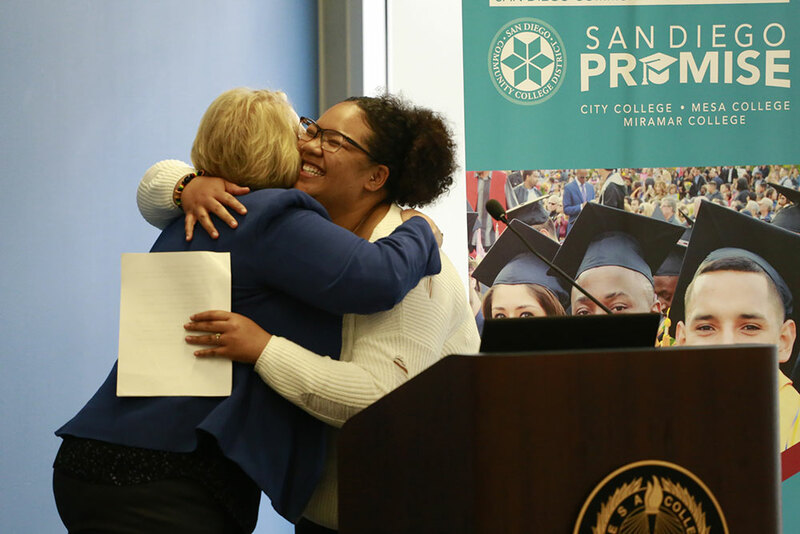 Students meet and thank the donors who have contributed to the San Diego Promise program. 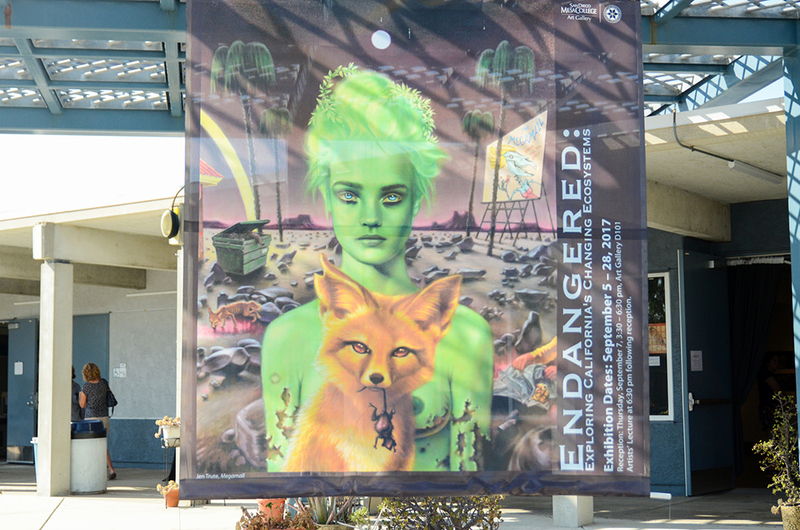 An interactive and educational exhibition, Endangered invites attendees to explore the work of eight artists who creatively examine the continuing devastation of our local flora and fauna. 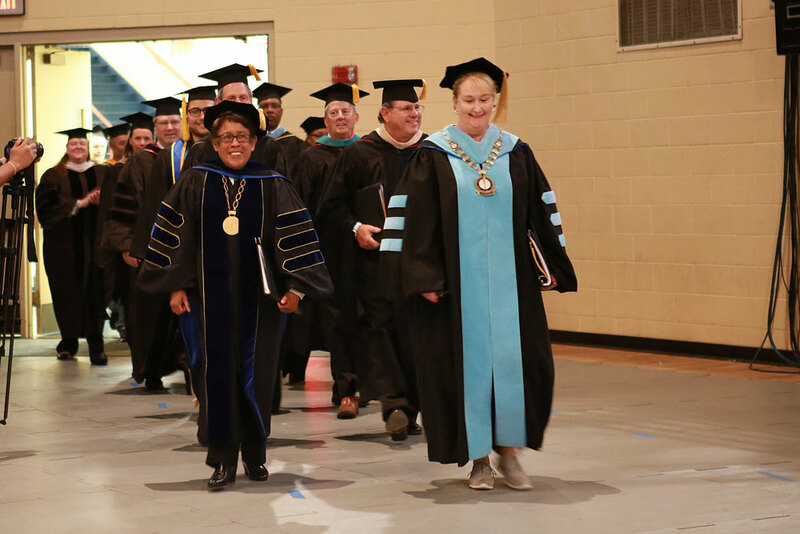 Convocation is an annual tradition with Chancellor Constance M. Carroll and members of our Board of Trustees visiting each college to welcome back faculty and staff and kick off the fall semester. 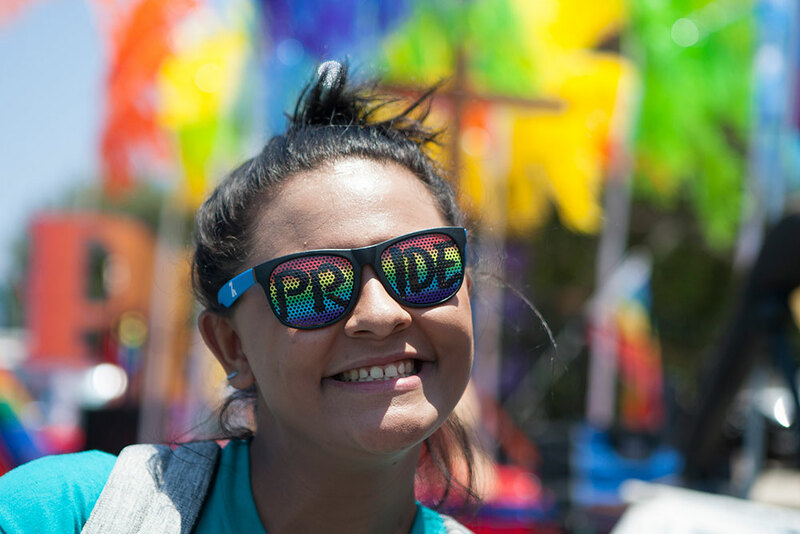 San Diego Community College District faculty, staff and students marched together in the annual San Diego Pride Parade on Saturday, July 15, 2017. 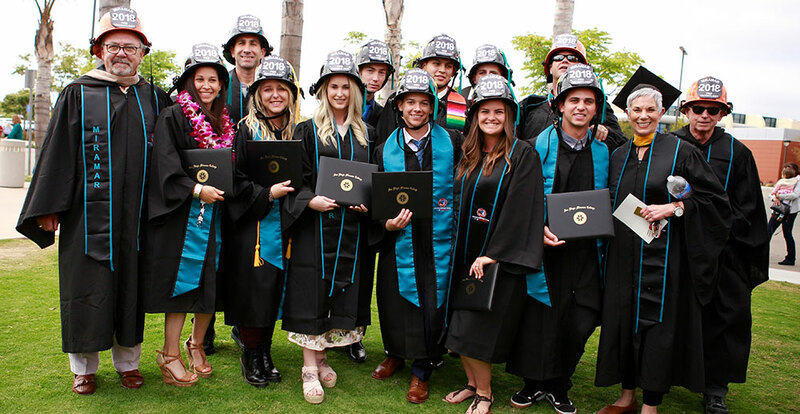 San Diego Continuing Education celebrates the Class of 2017 at the Organ Pavilion in Balboa Park on Friday, June 2. 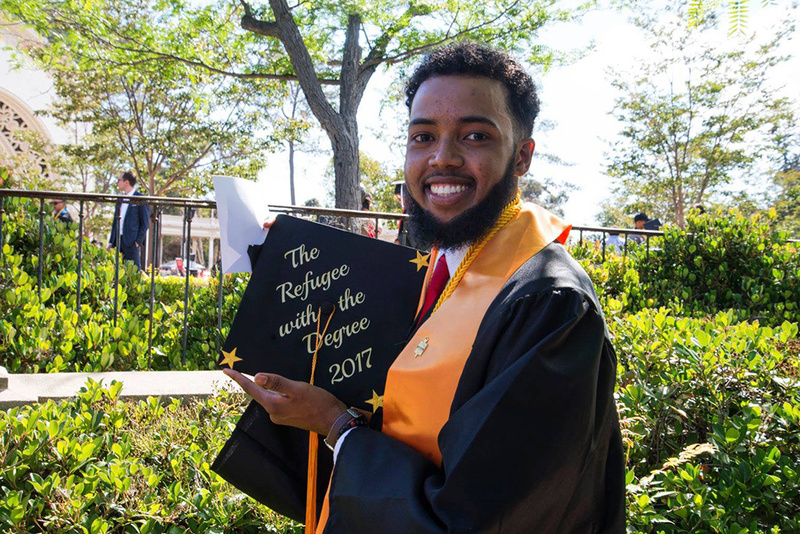 San Diego City College held its 2017 Commencement at the Organ Pavilion in Balboa Park on Friday, May 26. 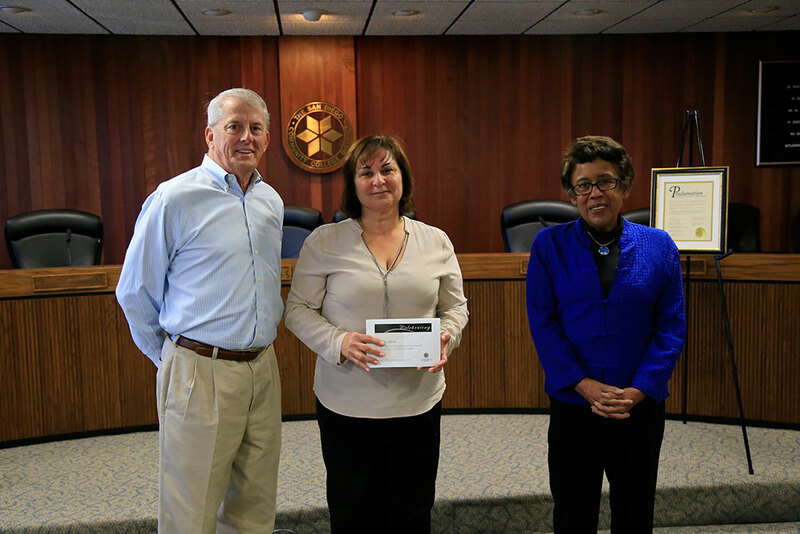 District employees were recognized for their years of service and Nada Adjadj was named the 2017 Outstanding Classified Employee of the Year. 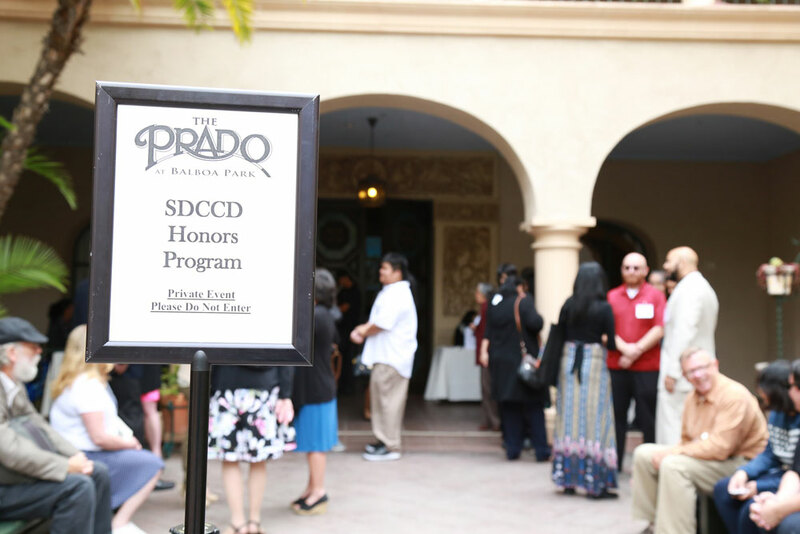 San Diego Community College District celebrated some of the district's top scholars at the 30th annual Honors Reception at the Prado in Balboa Park on Wednesday, May 3. 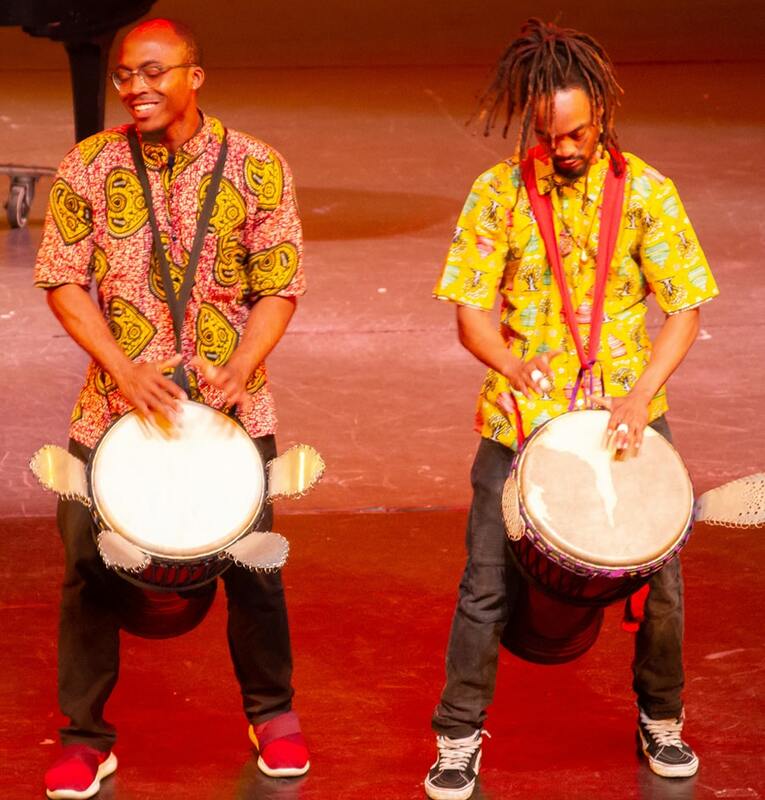 The San Diego Community College District is celebrating Black History Month with a series of performances, exhibits, discussions, informational fairs, and more. 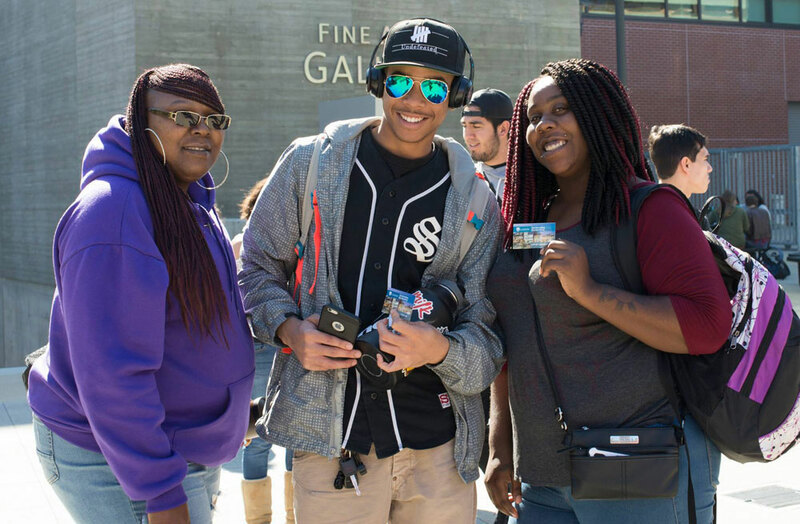 San Diego City, Mesa, and Miramar colleges welcomed back students on Monday, Jan. 30 while Continuing Education kicked off its Spring semester on Wednesday, Feb. 1. 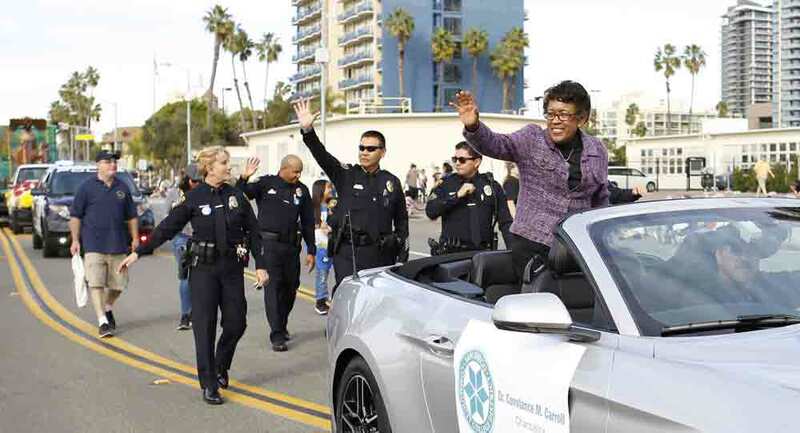 San Diego Community College District faculty, staff and students walked in the 37th annual MLK Parade last week to honor Dr. King on what would have been his 88th birthday. 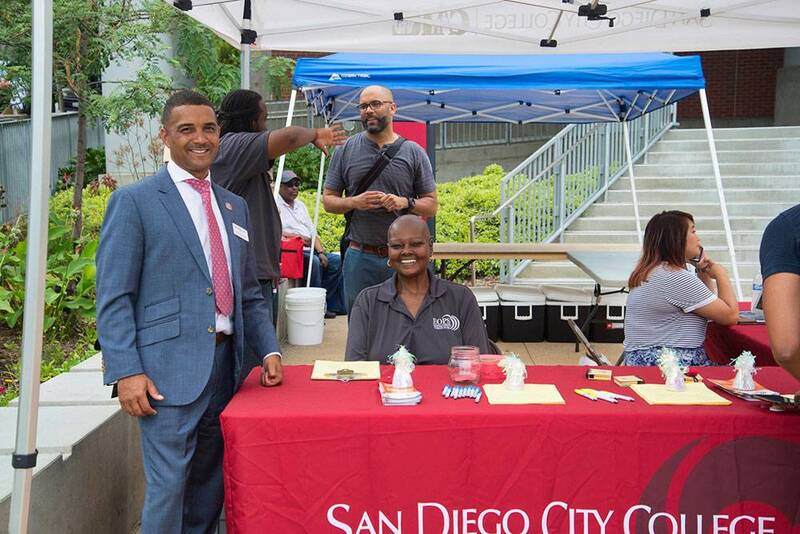 A look back at 2016 with the San Diego Community College District. 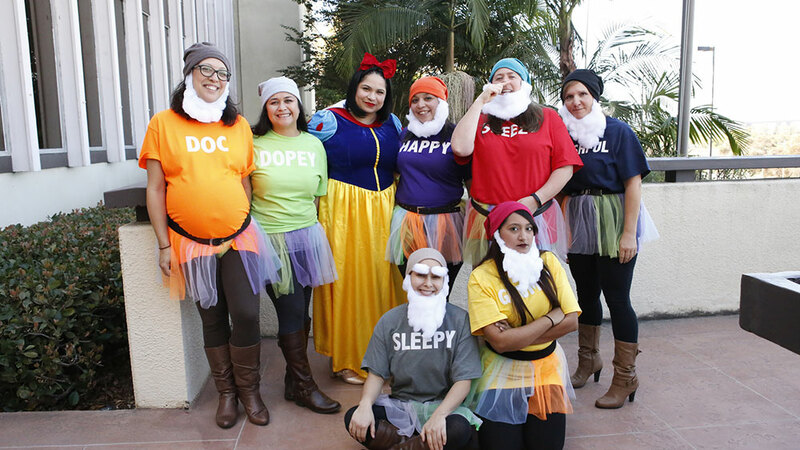 This free kick off to the holiday season was created as a way to make students feel welcome on campus â?? especially those who are homeless, food insecure, donâ? ?t have holiday plans or are international/out-of-state students and cannot travel home for Thanksgiving. 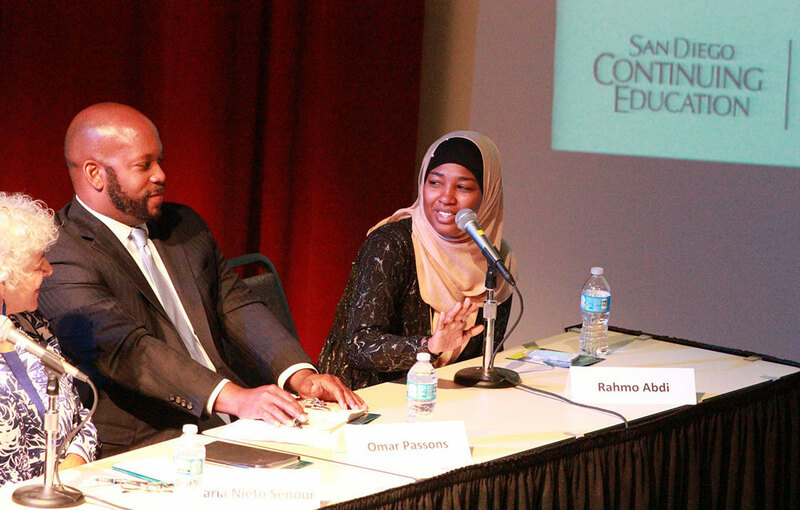 San Diego Continuing Educationâ? 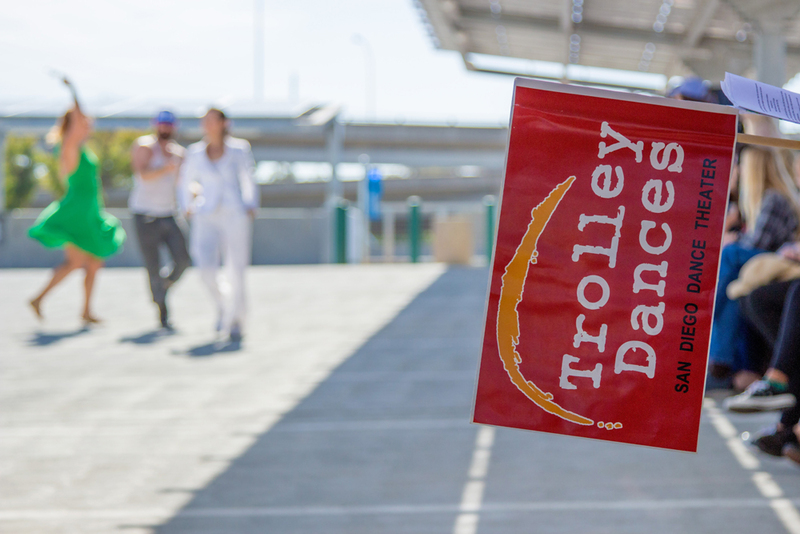 ?s new Cesar E. Chavez campus in the heart of Barrio Logan takes center stage as the starting point for Trolley Dances 2016. 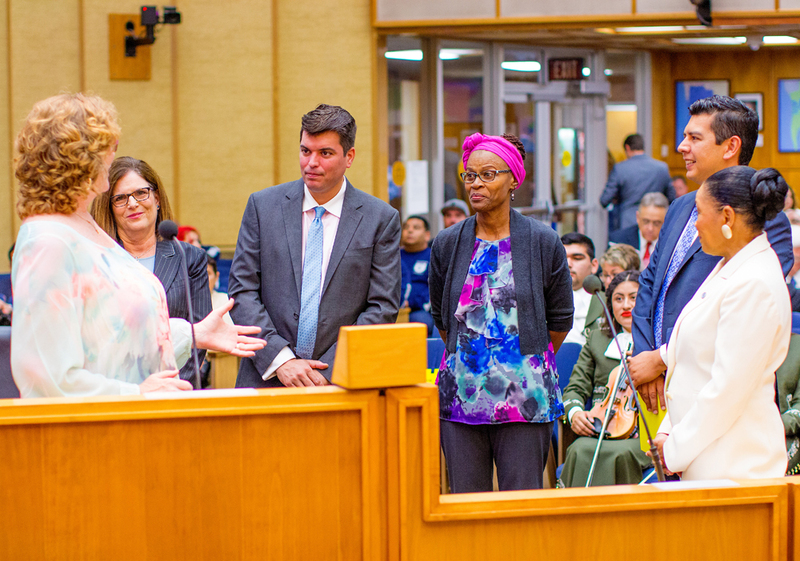 The San Diego City Council honored the anniversary with a proclamation noting that ECC â? 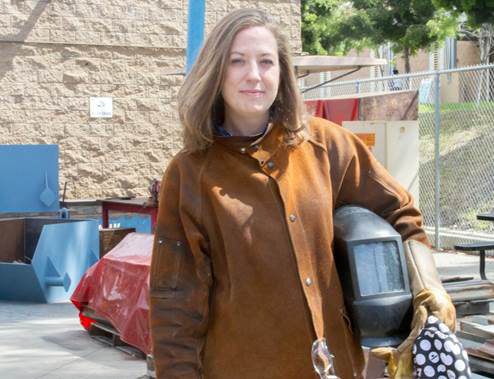 ?has provided learning opportunities, career advancement and community enrichment for countless students in San Diegoâ??. 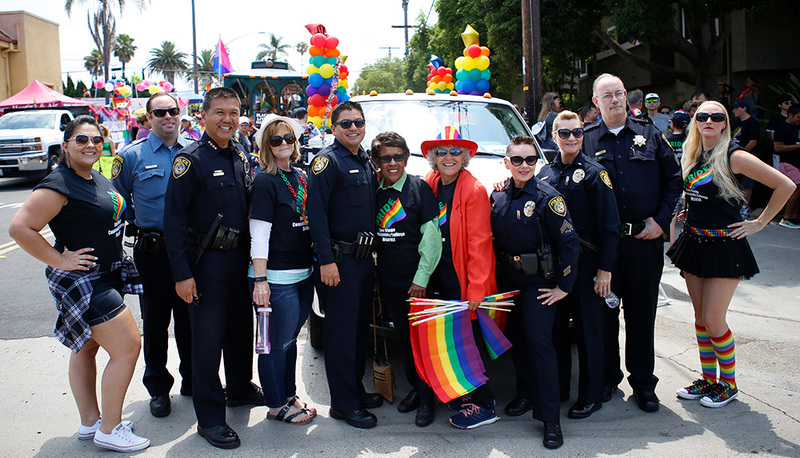 San Diego Community College District faculty, staff and students marched together in the annual San Diego Pride Parade. 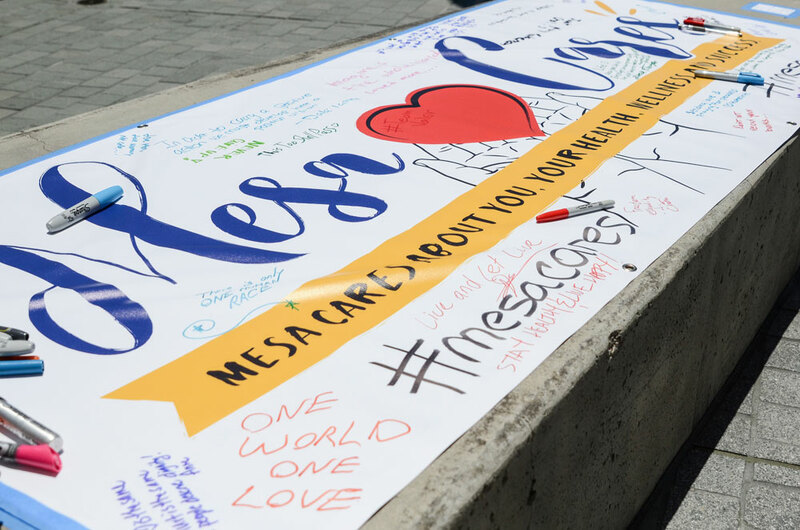 San Diego Mesa College launched its Mesa Cares program as a way of reaching out to students and allowing them to connect with each other, feel safe, valued and experience healing. 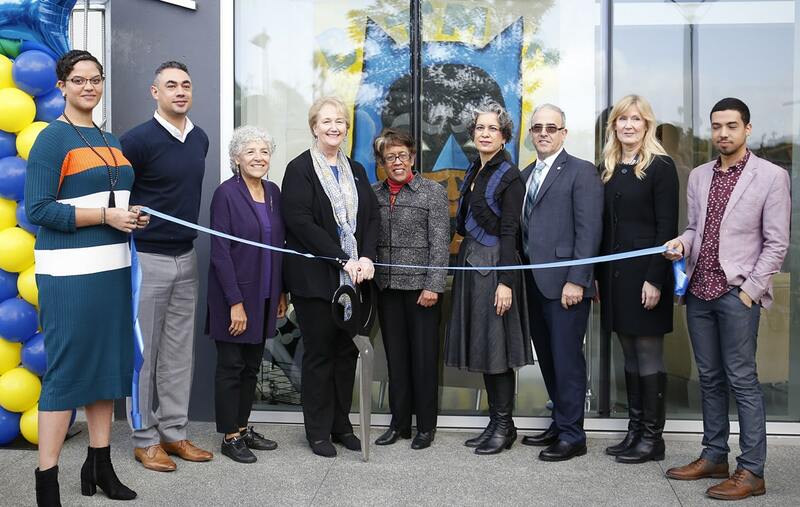 The ECC celebrated 40 years of serving students and community in San Diegoâ? ?s Mountain View community. 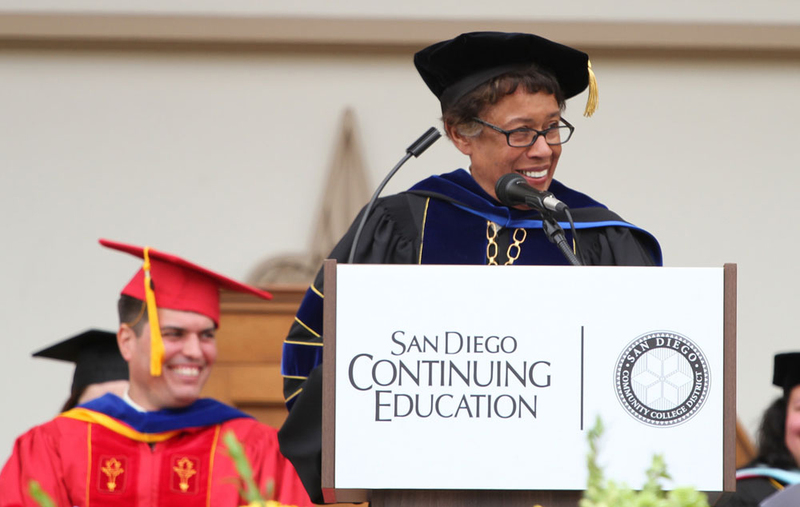 San Diego Continuing Education celebrated commencement and the Class of 2016 on Friday, May 27, 2016. 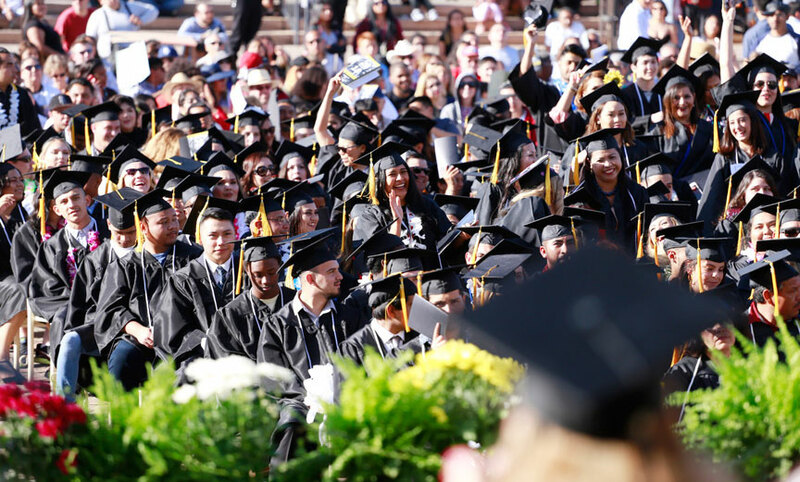 San Diego City College celebrated commencement and the Class of 2016 on Friday, May 20, 2016. 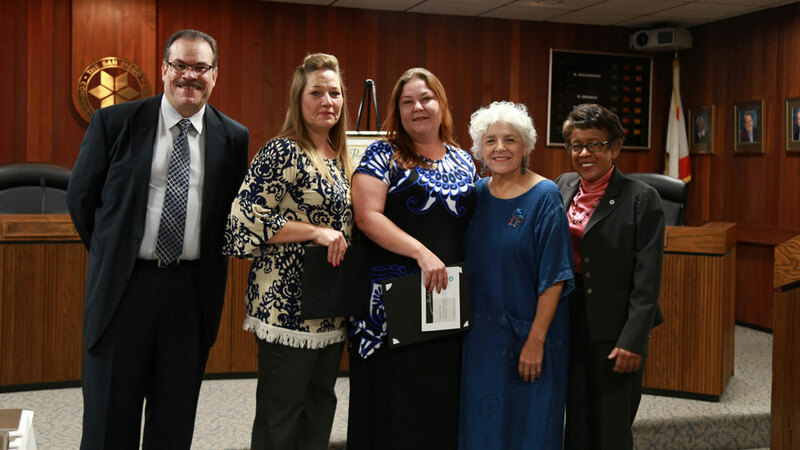 The winners of the 2016 Outstanding Classified Employee of the Year Award were Caryn White and Amber Fair. 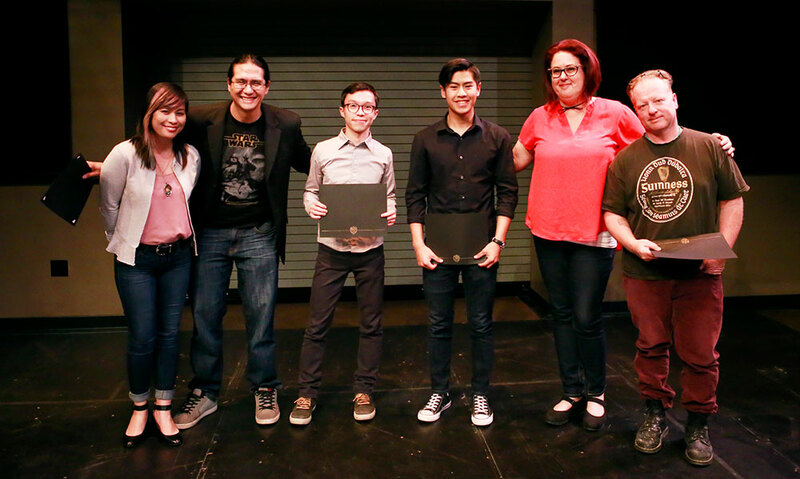 San Diego Community College District celebrated some of the best and the brightest students May 4 during the districtâ? ?s 29th annual Honors Reception at The Prado in Balboa Park. 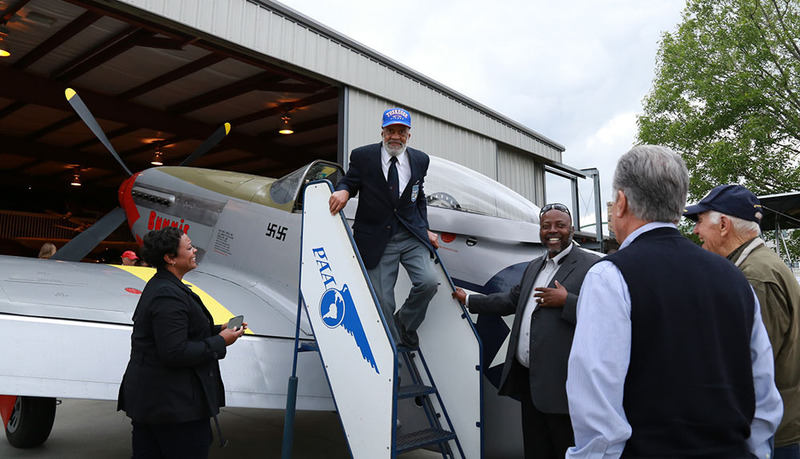 The reconstructed P-51D Mustang was on display at a rollout ceremony held at Allen Airways Flying Museum at Gillespie Field. The plane will be put on display at the National World War II Museum. 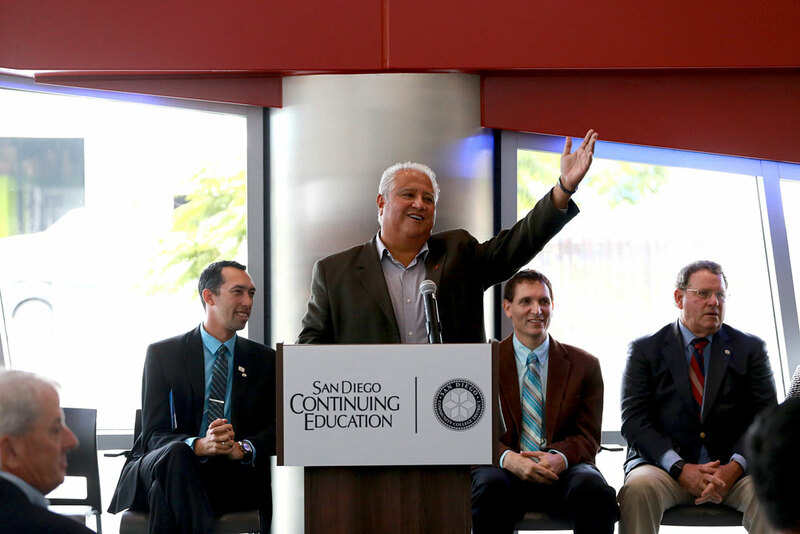 San Diego Continuing Education's new César Chávez car park was dedicated Wednesday, March 23, 2016. 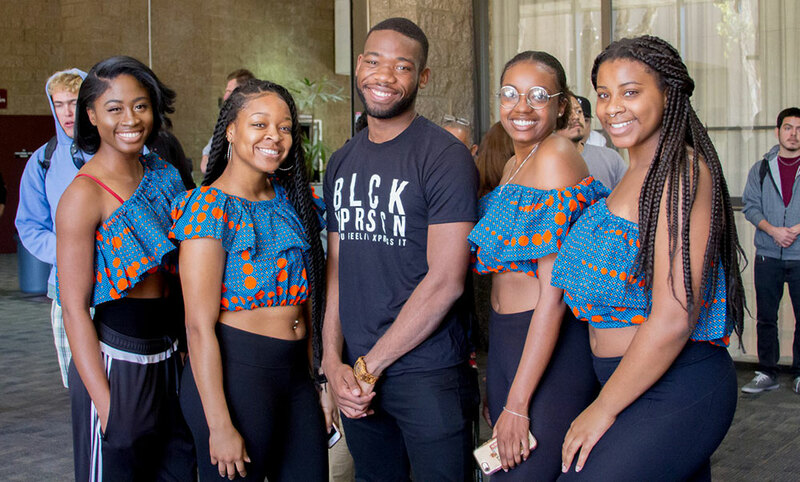 Events celebrating Black History Month were held during the month of February throughout San Diego Community College District. 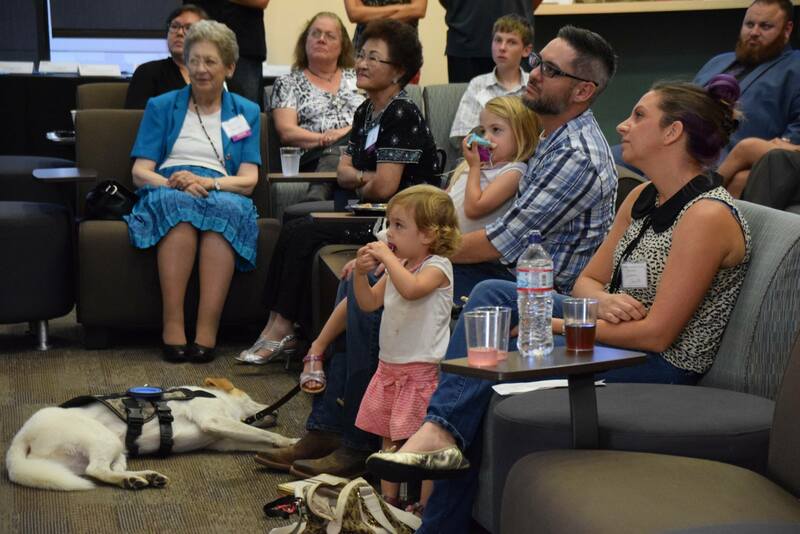 The Radio TV Film department at San Diego City College hosted an Alumni Reunion and an Open House of the new Media Center and Performing Arts Building. 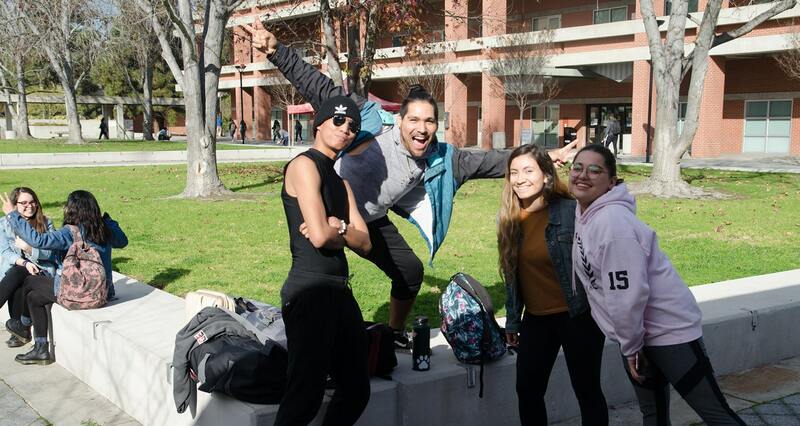 San Diego City, Mesa and Miramar colleges' first day of the spring semester was Monday, Jan. 25. 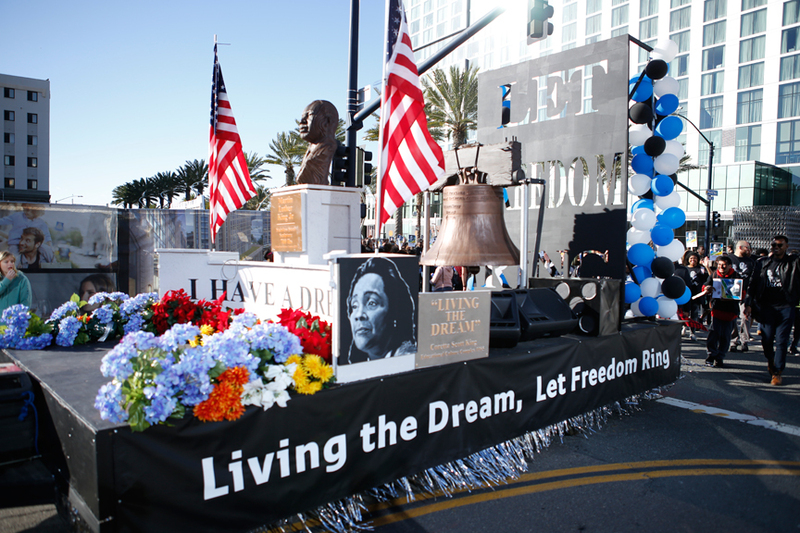 The San Diego Community College District participates in the 36th annual Martin Luther King, Jr. Parade. 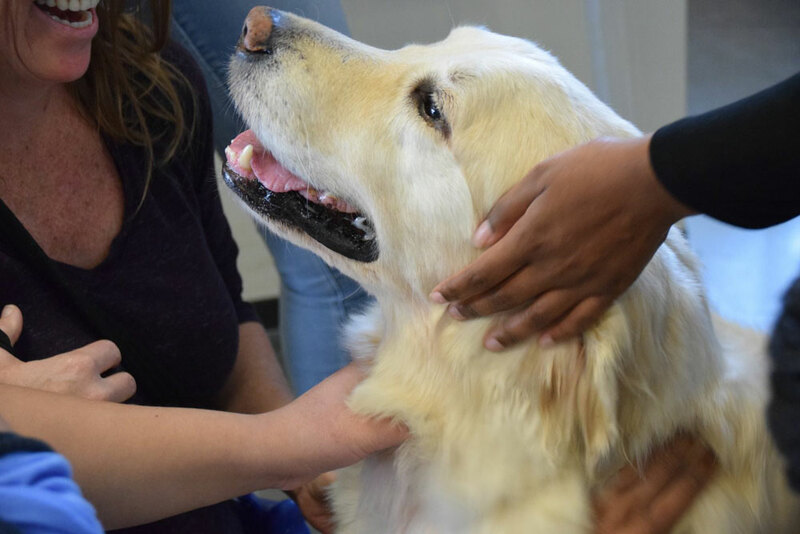 Students feeling the stress of finals week were able to relax with the help of a few therapy dogs at Miramar College this week. 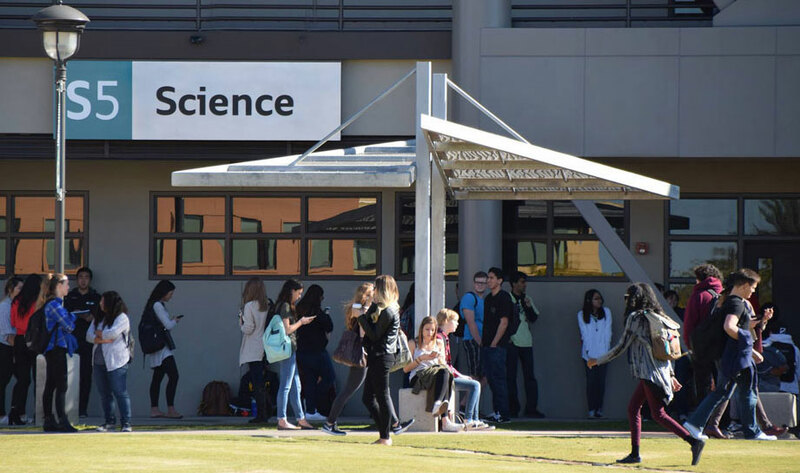 San Diego Miramar College held the grand opening of its newest facility, the two-story, 49,000-square-foot, Science Building addition Monday, Nov. 30. 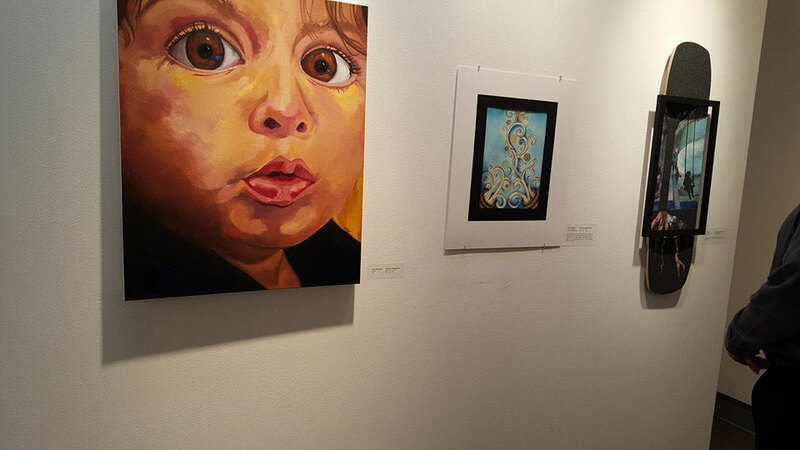 The Art Gallery at San Diego Mesa College will be hosting a student art gallery exhibit through Dec. 9. 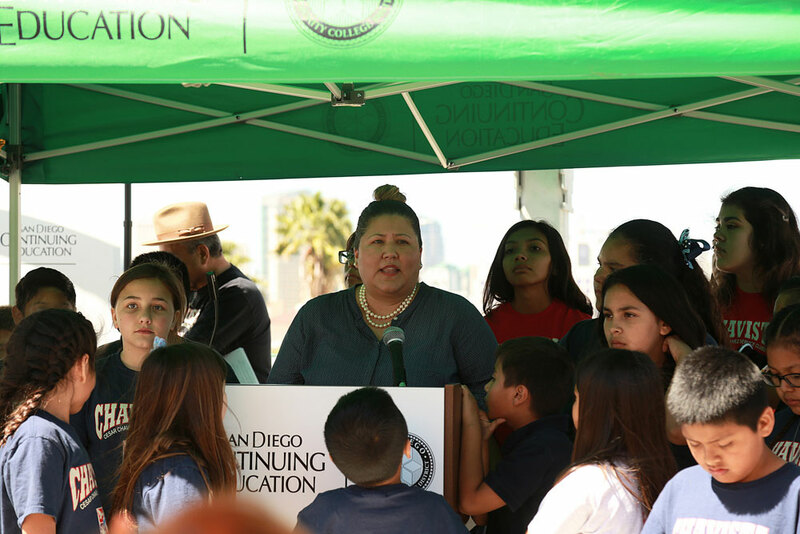 San Diego Continuing Education held its grand opening of the César E. Chávez in Barrio Logan on Oct. 28, 2015. 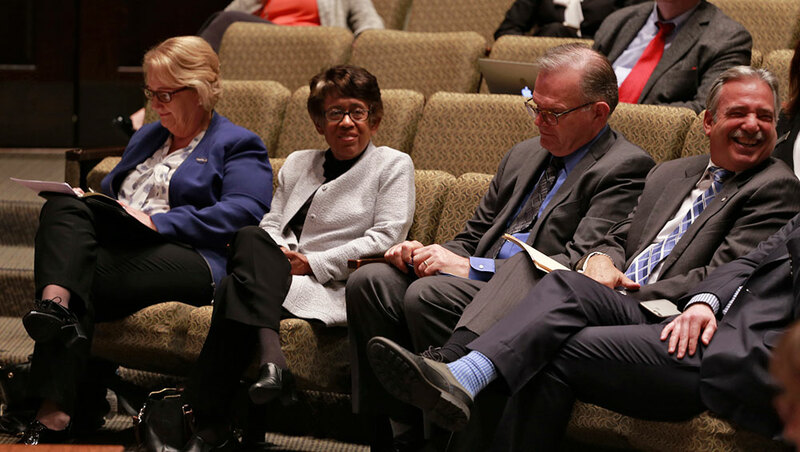 The San Diego Community College District hosted the 46th annual Association of Community College Trustees (ACCT) Leadership Congress at the Manchester Grand Hyatt Oct. 14-17. 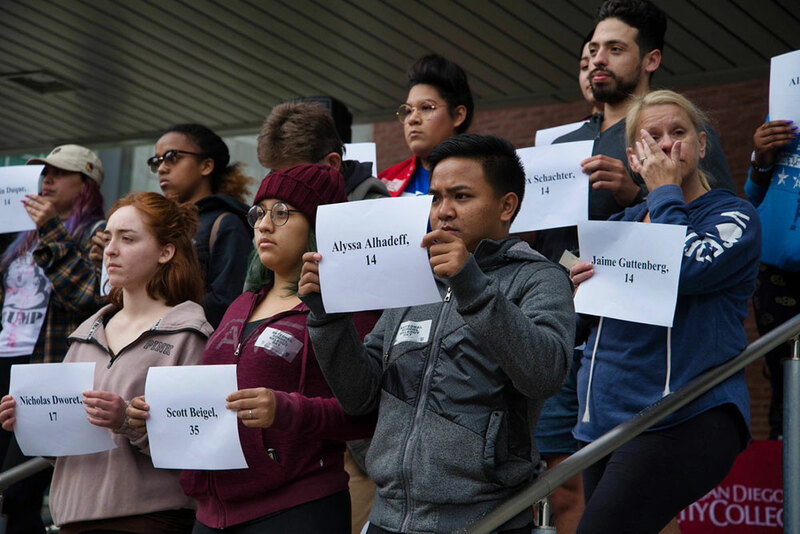 On Oct. 8, 2015 at 11 a.m. the San Diego Community College district joined the National Moment of Silence in support of Umpqua Community College in Oregon to remember the nine people who were killed in a shooting on the campus Oct. 1. 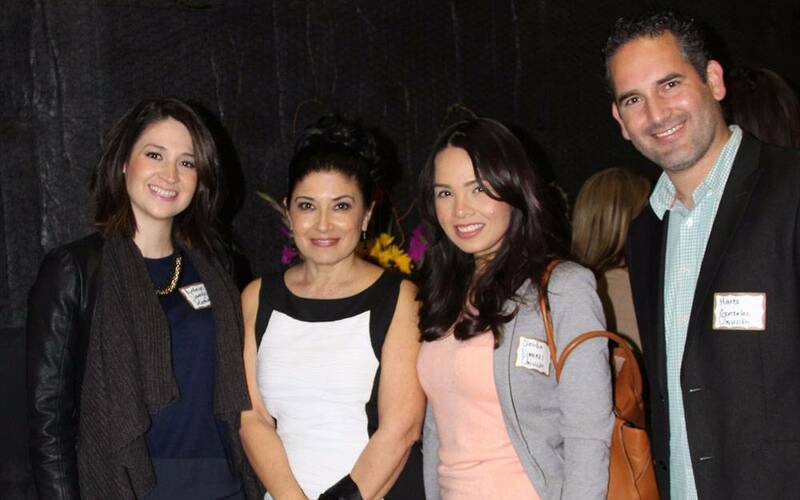 San Diego Miramar College held its annual Invest in Success scholarship fundraising event. 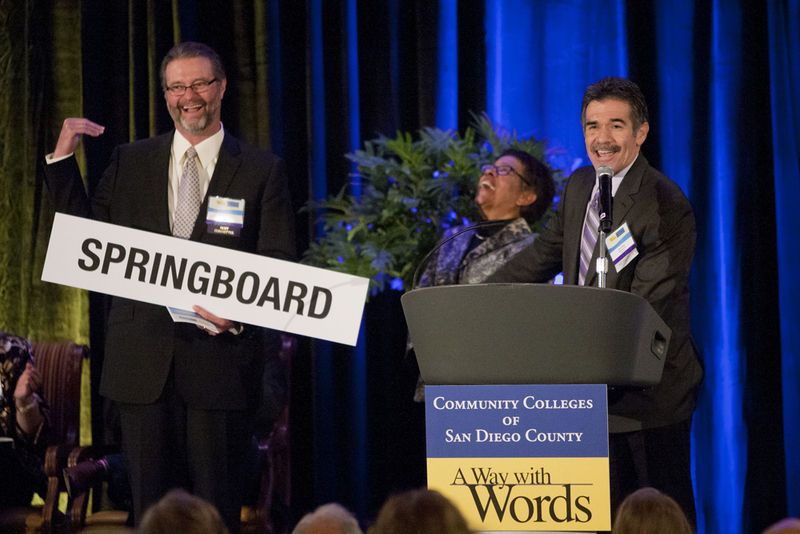 The community colleges of San Diego County and the popular public radio show A Way with Words hosted a special event Sept. 17, â? ?In A Word,â?? which celebrated the importance of language and literacy. 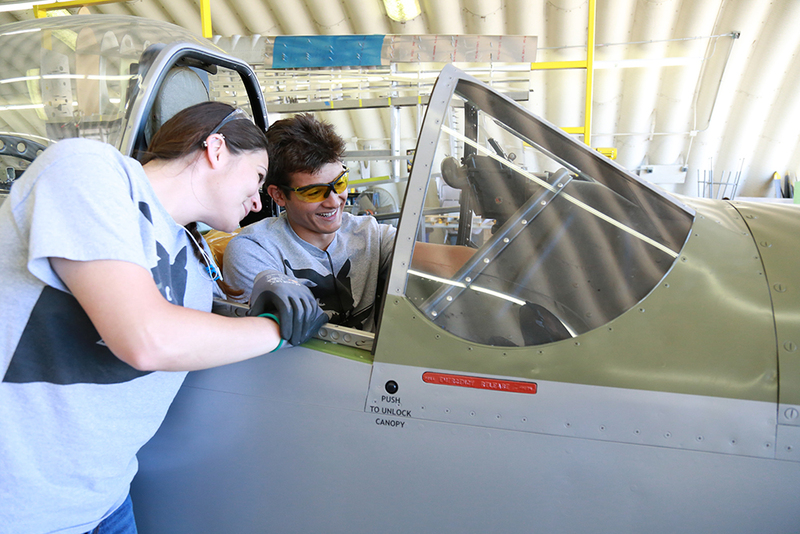 Interns from San Diego Miramar College work at Flyboy Aeroworks in El Cajon to restore a P-51D Mustang, a single-seat fighter/bomber that will be painted to match a plane flown by Capt. Roscoe Brown of the acclaimed Tuskegee Airmen. 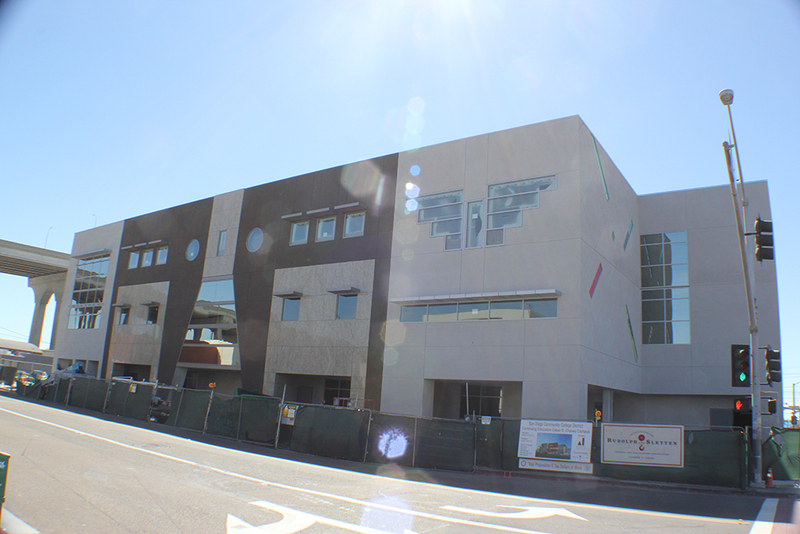 The new Cesar Chavez campus at Continuing Education prepares to open in time for the new fall semester. 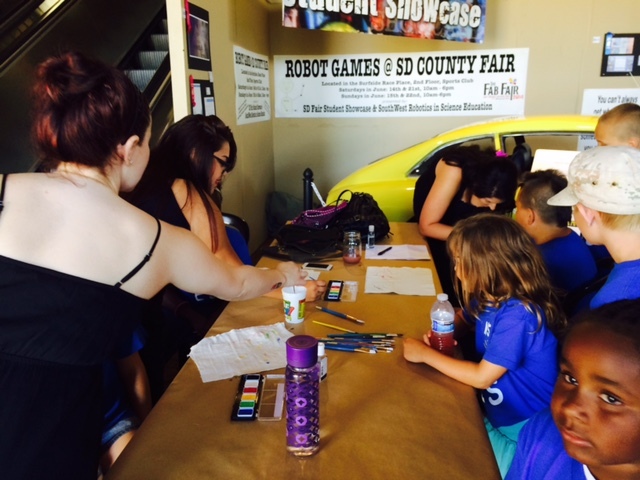 San Diego City College cosmetology offered free haircuts, manicures and face painting at the San Diego County Fair. 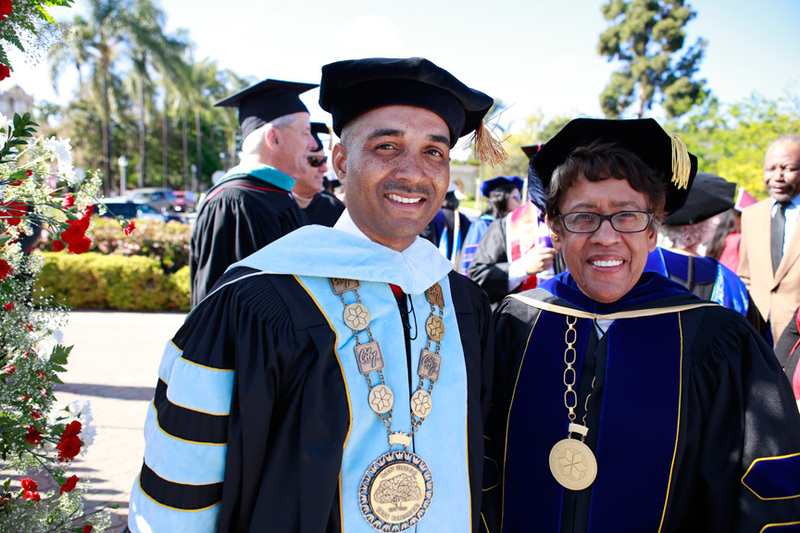 Want more SDCCD photos? Visit us on Flikr.